What could possibly be better than a beautiful handcrafted pot of flowers? Flowers that will stay forever beautiful, of course. 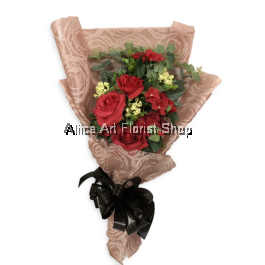 Artificial flowers are now an everlasting option for those who prefer an arrangement that can stand the test of time. 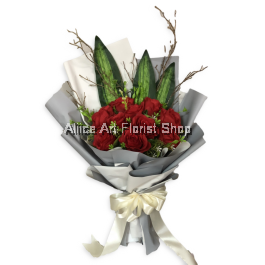 You do not even have to worry about looking after the flowers or prevent them from wilting. 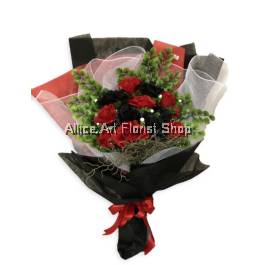 The quality of artificial flowers has improved ever since its conception. 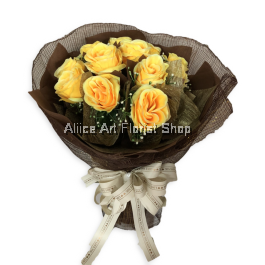 Nowadays, quality materials are used to make them into lifelike imitations of real flowers. 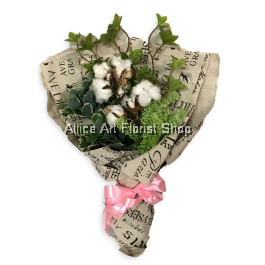 With minimal need for maintenance and occasional dusting, artificial flowers are becoming increasingly popular as a hassle-free solution. 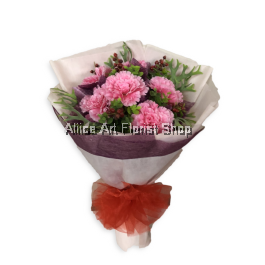 If you are looking for an artificial hand bouquet for that special someone, or a simple decorated vase as the centrepiece of your dinner table, Aliice Art Florist Shop provides you with a wide range of gorgeous artificial flowers to choose from. 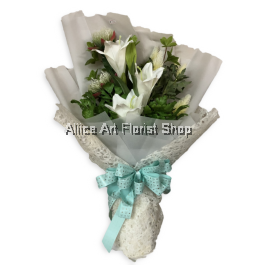 Our variety of handcrafted artificial floral arrangements is tailored to your aesthetic needs and convenience. Make every bouquet unique to you and you only. 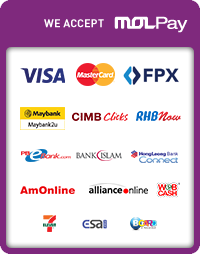 You can now even order your artificial flowers online from anywhere in Malaysia with our express delivery service.